By 1997 Re/Max worldwide achieved the amazing milestone of selling over 1 million transaction sides in a single year. With it came the #1 marketshare spot and distinction ‘Nobody in the world sells more real estate than Re/Max’. Interesting to note is the fact that Re/Max achieved this milestone with less than 1/2 the salespeople it has today. By year 2004, Re/Max had surpassed the 100,000 agent mark. Since its inception in 1973, Re/Max has never had a month without positive net growth. Re/Max growth is not linear, it’s exponential. In the first 10 years, it grew to 3,796, in the next 10 years, it grew to 32,311, and then in the next 10 years it grew to 77,896. In just the next 2 years, the organization grew to over 100,000 salespeople. It’s conservatively projected to exceed 150,000 salespeople by yearend 2007. 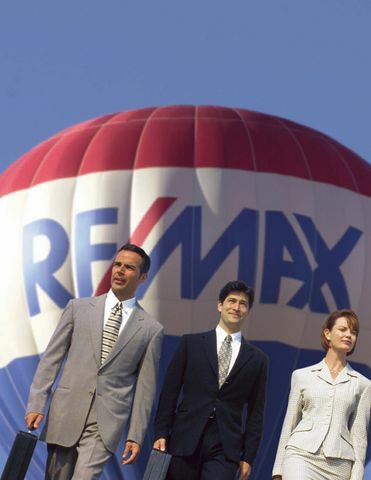 The Re/Max balloon is one of the most recognized logos in the international marketplace. Re/Max associates average more than 13 years of real estate experience and hold a higher number of professional designations than salespeople with any single competitor. The average Re/Max salesperson outsells the competition by a margin of approximately 3 to 1.